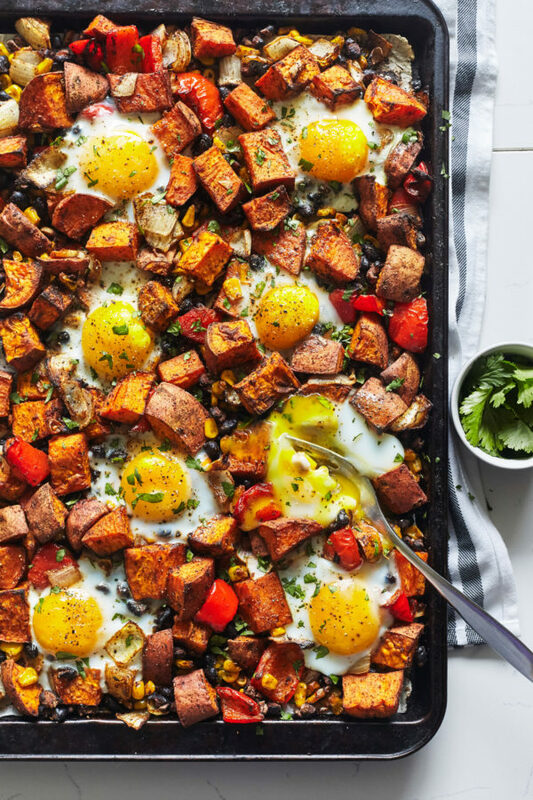 When visitors pop over for a last-minute brunch, make this savory Sheet Pan Sweet Potato Hash with Eggs. 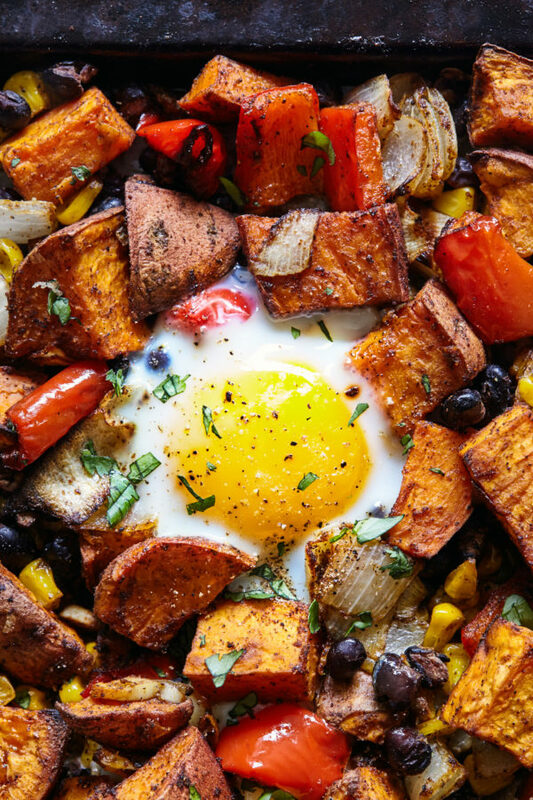 If you’re looking for an easy breakfast that can feed the whole gang, this is the ideal dish to whip up in a pinch or just an opportunity to strut your superior breakfast making skills in front of the folks. 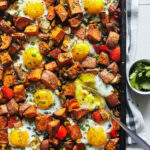 This sheet pan sweet potato hash with eggs is an easy, high-protein breakfast! A great breakfast option. Add veggies or a side salad for lunch.